Today I found River Park in Florence, CO to be very active for the first time in quite a while (the city has let people drive all over, destroying vegetation). 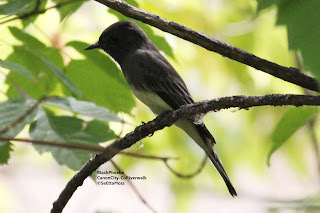 Among the birds there I found two Eastern Phoebes and a Black Phoebe. 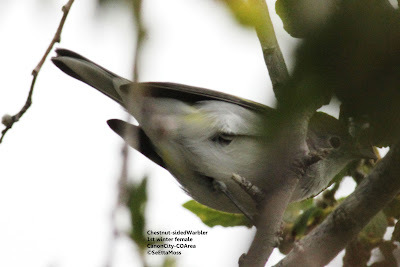 One of the Eastern's was an immature, the bird in these photos, while the other was an adult. I had seen this immature in and near this park a few times in the past month and it did not seem to want to share it with either of the other two phoebes as it had several antagonistic interactions with each of them. 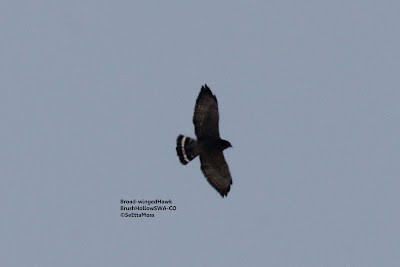 I did not get photos of the Black or adult Eastern but did get these of the immature Eastern. 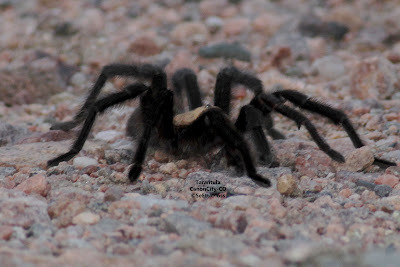 I found this big tarantula last night on the far west end of Canon City. Actually I spotted one almost this size then saw this guy and was very impressed. 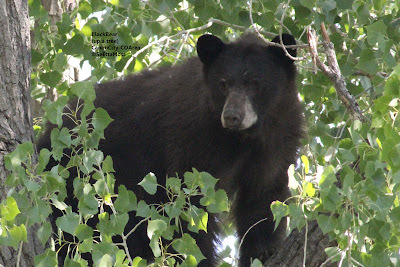 It's size is clearer in the photo below that I took with my point and shoot camera. I am way behind on my photos, just so many birds. 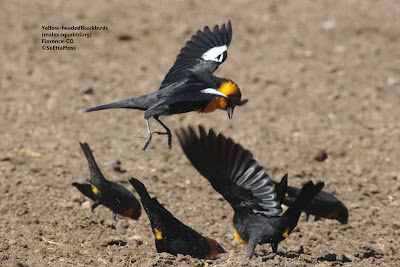 And taking prescription medicine for elevated blood lipids that is known for causing fatigue and sleep problems--after birding and doing some chores, I'm just too tired to go through my photos then edit and upload them-bummer. 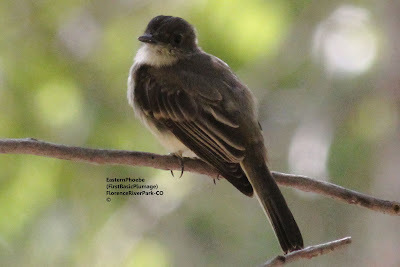 Anyway, this is one of the several Black Phoebes I have seen in the past 2 weeks around the Canon City,Co area. 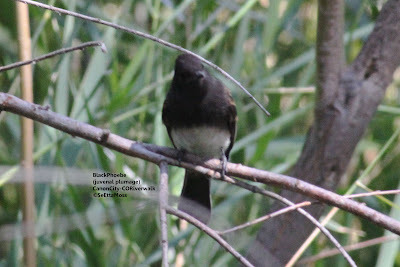 This one is in juvenal plumage (see brown wing bars and straight across demarcation of black and white underparts) and was on the Canon City Riverwalk. 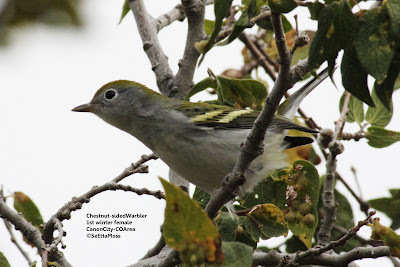 Birding this morning was fairly slow only a few warblers (Wilson's, Yellow)that haven't moved on. 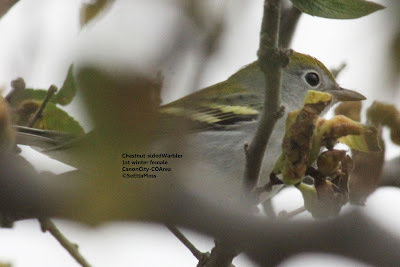 Then I found this beautiful Chestnut-sided Warbler, a female in first winter plumage. What gorgeous green color on her head and back!